The Telmessos has two restaurants, one indoor and one outdoor serving Turkish and English cuisine and there is a poolside bar serving drinks and snacks. The local mini-buses (dolmus) stop nearby and run every few minutes to the beach in Olu Deniz and the five miles to the larger resort centre of Fethiye which has further shopping, an attractive harbour and a bustling nightlife scene. Telmessos Hotel is set around a large sun terrace and swimming pool with a children''s pool and an attractive pool side bar. Leisure facilities include a children''s playground, satellite TV lounge, pool and table tennis, darts, basket ball and water polo. 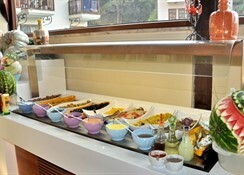 The hotel also organises regular Turkish nights and barbecue nights. The restaurant offers Turkish and English cuisine and has indoor and outdoor dining with snacks available all day. There are 85 guest rooms at the Telmessos Hotel, including double/twin rooms, triple rooms and suites in blocks around the pool and gardens. All accommodation is bright and comfortable and features double/twin beds, a french bed, an en-suite bathroom, telephone, safety deposit box and free WiFi. Telmessos Hotel is surrounded by the pine forest and conveniently located just 200m from the lively nightlife, colourful shops, bars and restaurants in Hisaronu village. The Dolmus bus service runs every 5 minutes into Fethiye(8km) and Oludeniz(3km). 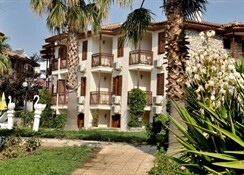 Hisaronu is approx 59km from Dalaman Airport. Close to all u really need tbh. Good bar staff atacan head bar man was more than obliging to my partner helped her when she was locked out.fulkran reception staff looked after her all night when i was ill thanks guys all very honist and helpfull. Top holliday also great activitys all around go paragliding or you will regret it its some view. But shop around.